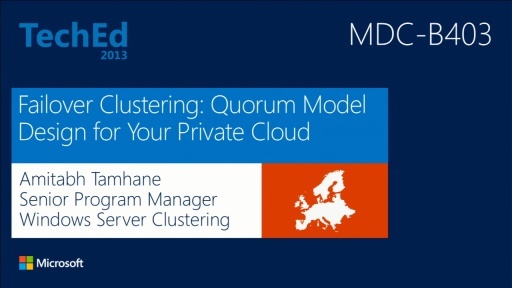 Play Failover Clustering 101: Get Highly Available Now! 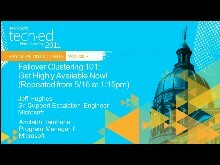 This session is for IT pros who want to learn about Windows Server 2008 and Windows Server 2008 R2 Failover Clustering for the first time. Learn how to build a highly-available File Server and Hyper-V cluster in just one hour. 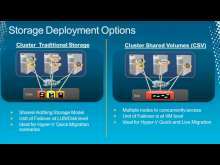 We cover planning,licensing,virtualization,support,validation,hardware,networking considerations,building a cluster,deploying workloads on a cluster,and deploying virtual machines on a cluster. 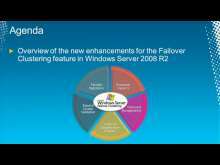 A Windows Server 2008 R2 Failover Cluster is built from scratch in a live demo!